Whether you want to become a pro or you just want to supplement your income with winnings from the casino, there are games that should be a definite no for you and those that should make the cut. The one common denominator to help you choose whether a particular casino game is good or not is the odds. You can find casino game odds on NetBet Live Casino among others. 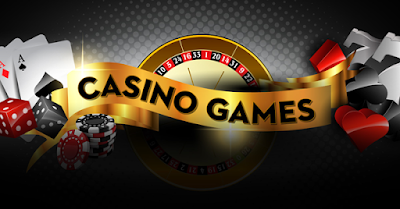 Alternatively, just continue reading this short article for the top casino games a pro or someone aiming to win big should play. Blackjack is one of the easiest casino games you can play and it comes with the best odds. For a better understanding, we will discuss the odds of all the games listed here in terms of the house edge. House edge simply means the potential average loss for every bet you place over the long run. Blackjack has a 0.5 percent house edge meaning if you place a $10 bet, the average amount you stand to lose is just 5 cents in the long run. The aim in Blackjack is to beat the dealer. How do you do this? In simple terms, you have to outscore the dealer by a card count of no more than 21. Numbered cards carry their face value while an A is 11 if your total score is below 11 or 1 if it is above 21. All face cards count as 10. Baccarat has a slightly higher edge meaning for every $10 bet, you stand to lose roughly 10 cents. For those who love the James Bond collection, you probably have seen Baccarat as it is James Bond’s preferred table game. There is no strategy involved in Baccarat everything is about chance. The aim in Baccarat in simple terms is to choose among these three, the player’s hand, banker’s hand or a tie. If you choose the player’s hand,for instance, the value of the player’s cards have to outscore the banker’s cards by no more than 9 for you to win. A tie occurs when both the banker and the player have the same value of cards. Just like Baccarat, the house edge costs you roughly 10 cents for every $10 bet. For a beginner, this may seem like a tough game but it isn’t. In simple terms, you have to bet on whether the dice, when thrown by the shooter (one who throws the dice),pass a certain set of numbers or not. If it passes the number you called, you win, if not, you lose. Roulette has two main variants having two distinct house edges. European roulette on average lets you lose 27 cents for every $10 bet place in the long run while American roulette on average lets you lose 53 cents for every $10 bet you place. Roulette is an easy and slow game to play combining both strategy and pure luck. The aim in roulette is to predict where the steel ball will land, whether in a red or black or in any numbered box from 1 to 36.